We are extremely appreciative for our customers’ feedback and are committed in continuing to provide innovative security awareness solutions, anti-phishing simulations, content and first-class customer service. Inspired eLearning, the world’s most effective security awareness platform, announces being named a January 2019 Gartner Peer Insights Customers’ Choice for Security Awareness Computer-Based Training. Gartner defines interactive computer-based training (CBT) as a central component of a comprehensive security education and behavior management program. 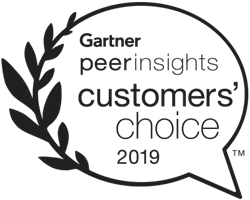 While Gartner Peer Insights Customers’ Choice distinction is based on end-user reviews, Inspired eLearning has also been recognized for the 5th consecutive year in the November 2018 Magic Quadrant for Security Awareness Computer-Based Training, which is based on Gartner analyst opinion.